Charlotte Fissette joined ATL Realty, LLC as Managing Broker after serving as Chapman Hall Realtors Vice President and Managing Broker from 2013 through 2017. Charlotte previously enjoyed careers as a psychiatric counselor, elementary school technology specialist, high school English teacher, and corporate executive, Charlotte found her passion in real estate, becoming a multi-million dollar producer with various brokerages, beginning with Century 21 Across Atlanta in 2002. In 2006, she became a Broker and joined Solid Source Realty where she advanced from Transaction Broker to Managing Broker with responsibility for more than 2800 agents. In 2011, she joined ERA Sunrise Realty and advanced to Vice President and Managing Broker — supporting agents in Lawrenceville, Smyrna, and Athens. 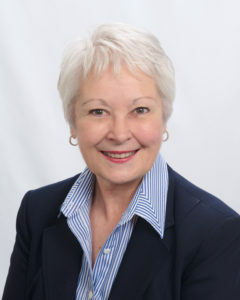 She has taught various CE courses including contract interpretation, negotiation, and short sales and has had experience coaching agents through written business plans and individual accountability sessions to reach their highest potential. Her educational background includes a Bachelors in English/Speech Education from Indiana University of Pennsylvania, as well as several courses in psychology through the University of Hartford. Charlotte also has extensive experience with presenting to large audiences with Exxon Office Systems, Hess Corporation and the University of Richmond. To date, she has over 400 credit hours of education with GREC.